When it comes to making the perfect tool, we attach the greatest impor­tance to the very best quality and place the highest demands on our­selves – both in terms of mate­rials and produc­tion processes. For this reason, our internal struc­tures are certi­fied at regular inter­vals. This makes things trans­parent, so you can actually see how passio­nately and con­scien­tiously we go about our work. Simply claiming to do so is some­thing anyone can do. Since 2014, we have been members of the select circle of official TORX® licensees, of which there are fewer than 20 all over Europe. TORX® stands for the most secure fit of any blade tip in the screw head. The reason is the characteristic star-shaped screw-head profile, which reduces the effort required to tighten screws, and the risk of the screwdriver slipping out of the screw head, the so-called cam-out effect. Besides, you can work much more effectively with TORX® profiles than with conventional slotted or cross recess drives. As you can see, the benefits of TORX® are more than obvious. The tool market is getting increa­singly compli­cated. In parti­cular, many pro­ducts from the Far East are flooding the German market, attrac­ting customers with unbeatably low prices. The problem is that the quality very often suffers because no quality standards are observed. This signi­ficant­ly reduces the tools’ life­time, so you won’t have much joy with your new tools. 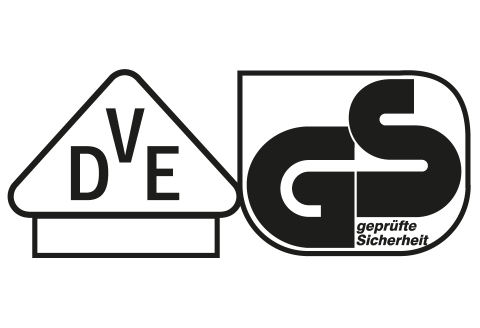 When you see the FWI seal, “Deutsches Werkzeug”, however, you can be sure that the entire tool production takes place in Germany in strict compli­ance with all valid safety and quality regu­lations. This enables you to work much longer and more safely and your tools will enjoy an excellent reputation among your customers. Our ISO 9001 certifi­cation gives you the guarantee that only flaw­less products leave our plant in Freuden­berg. 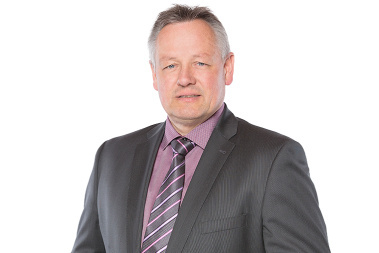 Our production processes are coordi­nated in such a way that we can main­tain or even exceed all rele­vant safety and quality stan­dards at any time during our manu­factu­ring process. We would not be satis­fied with anything less - and neither should you. The GS Logo guaran­tees that, in terms of your own safety, you are holding the best possible product in your hands. The tools are checked and tested tho­roughly and are only passed on to you when we are sure we can guarantee the highest level of safety for you when you use them. The VDE test seal extends our safety guarantees into the field of electrical engineering, ensuring that you are safely protected to up to 1000 volts when working with our insulated VDE screwdrivers. 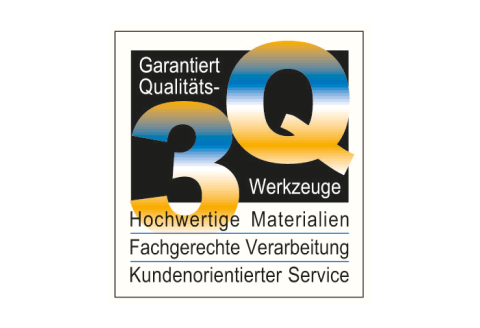 The 3Q Seal combines the three most impor­tant elements of our work: the use of high-quality materials, skilled and professional processing and a service philo­sophy geared comple­tely to customer satisfaction. We place the highest demands on ourselves – and you reap the bene­fits of our coope­ration every step of the way. Experience our quality - in your product!